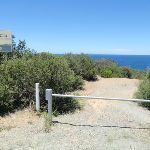 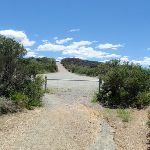 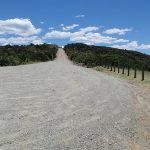 From the locked gate at the car park (at the end of Wybung Head Rd), this walk heads downhill along the management trail for a few metres, then turns left and follows the track. 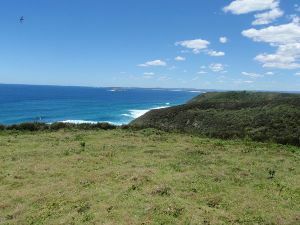 The track heads through the heath to a large ‘Marine Mammals’ sign (about whales) and a large clearing with wide ocean views. 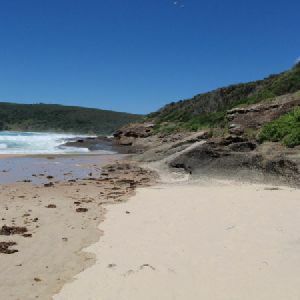 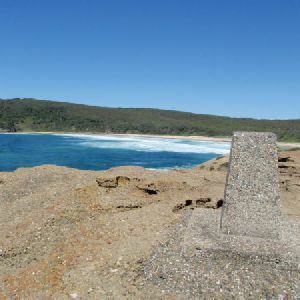 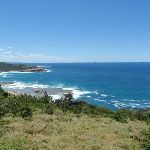 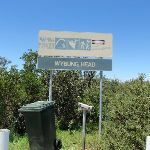 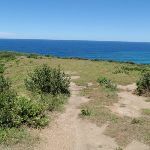 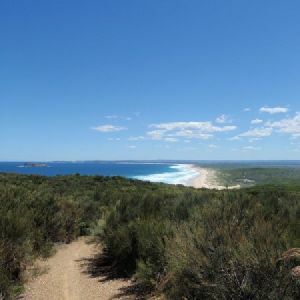 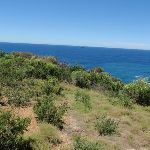 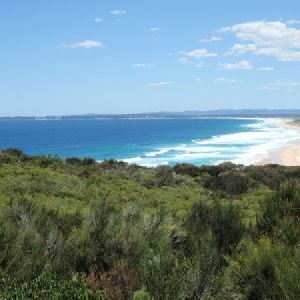 The Wybung Whale Watching Area is a small clearing perched on Wybung Head, just a short walk from the end of Wybung Head Rd. 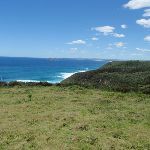 The clearing on the top of the hill provides sweeping views of the ocean. 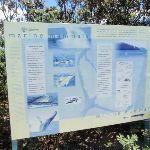 A sign hidden among the scrub provides information about the migrating mammals. 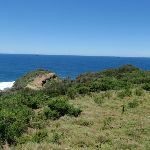 There is no shade or wind protection on this exposed grassy knoll, but it does provide a great spot to watch the migration. 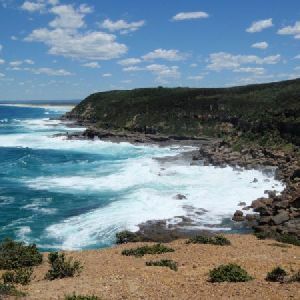 Northern migration from June to July and southern migration from Sept to Oct. 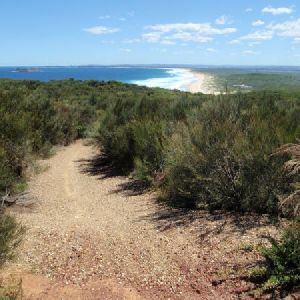 This whole walk, 70m has gentle hills with occasional steps. 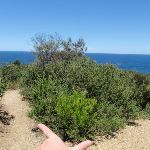 This whole walk, 70m follows a clear and well formed track or trail. 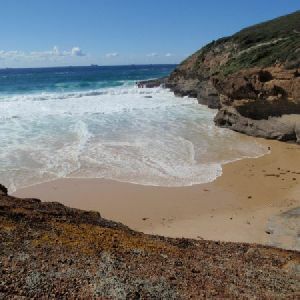 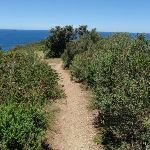 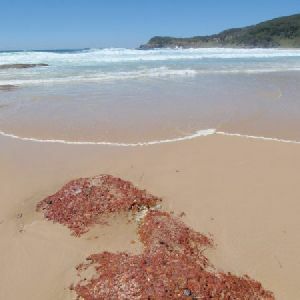 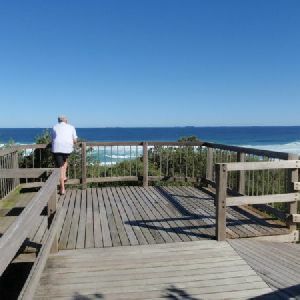 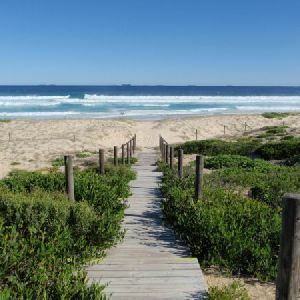 A list of walks that share part of the track with the Wybung Head whale viewing area walk. 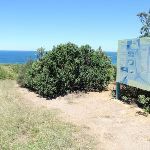 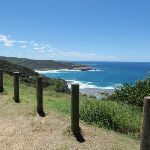 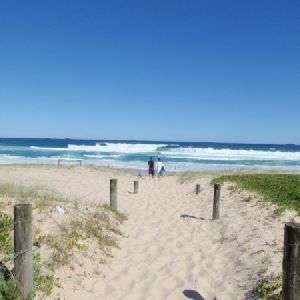 A list of walks that start near the Wybung Head whale viewing area walk. 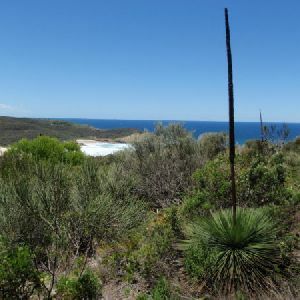 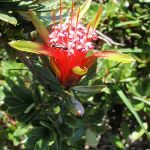 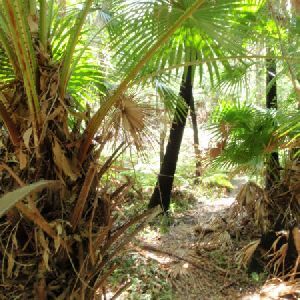 http://new.wildwalks.com/wildwalks_custom/includes/walk_fire_danger.php?walkid=nsw-munmorsca-whwva Each park may have its own fire ban, this rating is only valid for today and is based on information from the RFS Please check the RFS Website for more information.